Bicyclists travel on Front Street through downtown Traverse City Wednesday, May 15, 2013 at the start of the Traverse City Ride of Silence to raise awareness among motorists, cyclists, police, city officials and residents. 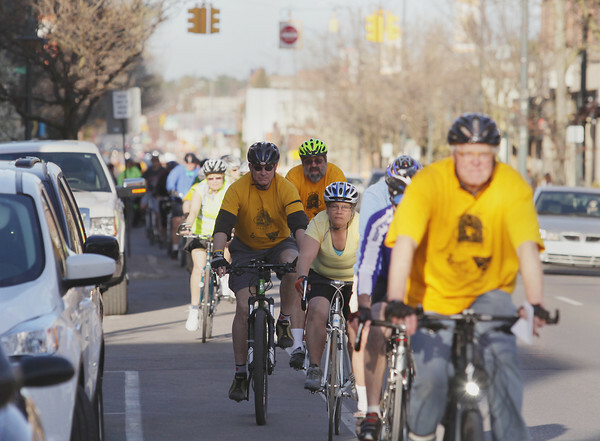 Bicyclists take to the streets in a slow, silent procession to honor cyclists who have been killed or injured while riding on public roads. The Cherry Capital Cycling Club and TART Trails sponsor the annual ride.